To raise funds that will pay for delivery bills of stillborn babies in the United States. $40 each, available soon for purchase. Online ticket sales close at 10pm on September 27th. Tickets will be available at the door. Ample venue parking is available. One Title Sponsorship is available and is sold out. Sponsorships greater than $2,500 include 10 event tickets. 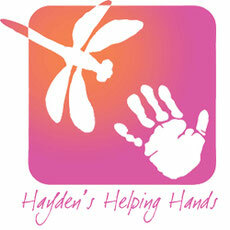 Please contact admin@haydenshelpinghands.com for more information. Gold Sponsorship: $1,000 Includes 6 event tickets. $1,000 sponsorships available. Silver Sponsorship: $400 Includes 4 event tickets. $400 sponsorships available. In-Kind Donations: Please email admin@haydenshelpinghands.com on how to make an in-kind donation for the wine pull, auction or raffle. Do I need my printed ticket to get in? No, you will not need your ticket to get in. Registrants are automatically added to the guest list under the name the ticket was purchased in. When does it start? Registration opens at 6:30, Announcements happen between 7:30/8, Wine Pull is open from 6:30-sell out, Raffle Items close at 8:30, Auction 1 closes at 9pm and Auction 2 closes at 9:30. 50/50 Raffle closes at 10pm. What is the dress code? There is no specific dress code but we do invite you to dress up for a nice evening out. If that means nice jeans or a sequined gown, we will welcome you with open arms either way! Are there ID or minimum age requirements to enter the event? This event is 21 and older. What type of payments are accepted? Cash and credit are accepted for raffle items, wine pull and auction items. Raffle tickets are $5 each or 5/$20. The wine pull is $20 per bottle for 2/$35. Auction items vary in cost. If you play the 50/50 cash giveaway raffle, you will need cash for this and tickets are $10 each. What's the refund policy? There are no refunds once event tickets, raffle items, wine or auction items are purchased.